An Australian MLM company, Narelle Chenery founded Miessence in the late 1990’s after discovering how beneficial all organic products can be. Since that point, Miessence has grown huge in Australia as well as other parts of the world because their wholly organic products are loved and they are fairly priced. Plus, Miessence has helped many people gain financial independence by having their own home based business. Today, we are going to tell you the top 20 Miessence products starting at #20 and working our way to #1. If you believe you would like to try any of these products or become a Miessence home based business owner, you can find the company’s link in the reference section at the end of this post. Keep in mind I am in NO WAY affiliated with the company. The rankings were based upon independent research, sales figures and online reviews. If you disagree with my findings, make sure you leave a comment below. 26 various organic foods are fermented to create the natural bacteria our systems need to have a healthy digestive system. So not only are you getting wholesome nutrients, you are getting beneficial probiotics. This is a highly concentrated cleaning solution that is made with all natural ingredients. With no chemicals, you can rest peacefully knowing you and your family are safe from deadly toxins found in many other cleaners. This all organic skin cleanser is made for sensitive skin. Using bergamot and chamomile, it not only cleanses, it soothes tight and damaged skin. This is a big seller. The organic oils, butters and extracts in this product help minimize stretch marks and helps regenerate skin renewal. Your personal massage using this product will leave you feeling refreshed and attractive. Using organic rosehip seed oil as well as other organics, this product from Miessence moisturizes and conditions allowing your hair to be at the strength and texture it was designed for. Using pure organic rose oil, Miessence developed this bronzing dust that is magnificent. Women around the world love this product and it has a huge amount of sales. Miessence put together a proprietary blend of organic botanicals containing orange peel oil, calendula and marshmallow that not only removes toxins, it leaves your skin feeling soft and fresh. Using ingredients that go back to the Earth and do not damage the ground our children and grandchildren will need for years to come, Miessence developed this biodegradable dish washing concentrate that cleans well and is safe. Another huge seller! The Miessence mint toothpaste has no artificial crap and cleans your breath and teeth with spearmint, peppermint, bicarbonate of soda, cinnamon leaf and clove bud oils. With a blend of all natural antioxidants, this hand cream softens the skin and integrates the vitamins and minerals to help your skin heal itself. With no alcohol… Just spearmint and peppermint essential oils, this is the perfect spray to keep your breath refreshingly pure for those moments when you need it most. One of the first signs of a person’s age is around their eyes and their neck. Using various oils like avocado oil and rosehip oil, Miessence developed this wonderful product that diminishes aging signs in those areas. Another high selling product, this Miessence item has various organic items fermented to release a nutritional liquid that brightens and mends the skin’s properties. It helps remove dead skin cells and moisturizes the skin to give you a satisfaction like no other. For those redness and blotchy areas on your skin, this wonderful product relieves it with St John’s wort, horsechestnut, chamomile and witch hazel. The blend is both calming and soothes the skin. This is an all natural product to use to protect yourself and your family from damaging rays of the sun. Zinc oxide protects from the sun, while organic olive oil, rosemary extract and carrot seed extract keep your skin nourished and moisturized. With all the various diseases carried by mosquitoes, you need the very best protection. Mother nature has given us materials that are natural repellents and Miessence uses those materials in this spray. There are no dangerous chemicals. The flavor is orange and vanilla which leave a great taste in your mouth. A blended mask using natural green clay, echinacea and witch hazel, this mask helps clear problem skins that are oily or have blotches. It contains the properties of lavender, lemon myrtle and tea tree. This is a favorite of many Miessence customers. From what I see, many people have lost weight and kept it off. This is why the FAST weight loss super food takes the top spot in this Miessence product list. Miessence is a well known and trusted organic MLM company in Australia and continues to make its mark in other parts of the world. I often wonder if Miessence will jump into the United States. As a matter of fact, is there any Miessence representatives in the states? If so, tell us in the comment section below. Have you used any Miessence products? What are your favorites? Do you agree with my findings? Please leave all questions and comments below. And also, please share this with others on social media. The buttons are below. Thank you for visiting and if you are interested in great organic products, be sure and contact Chuck via the contact page. 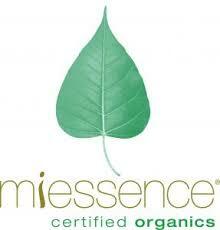 Disclaimer: Neither I nor Online MLM Community is affiliated with Miessence. This information is for educative purposes. The products have not been evaluated by the Food and Drug Administration, and they are not designed to treat, cure or prevent any disease.